For over 30 years, Wisconsin Chimney Technicians has been offering the southeast Wisconsin’s best chimney sweep service and fireplace/chimney inspections. Founded in 1981 by state certified level three firefighter Jeff Schmittinger, Wisconsin Chimney strives to provide complete customer satisfaction in every job we do. Our commitment to quality chimney evaluations and honest customer service makes Wisconsin Chimney Technicians your home for superb Milwaukee area chimney services. 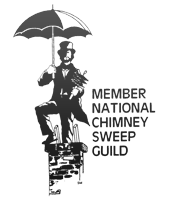 Wisconsin Chimney Technicians is a member of many local trade associations, as well as the National Chimney Sweep Guild and Milwaukee NARI. In fact, Jeff Schmittinger has served on the board of directors for both the National Chimney Sweep Guild and the Chimney Safety Institute of America. 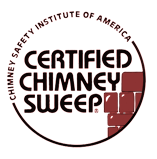 We take pride in stating our lead chimney repair technicians are all CSIA certified. Our technicians receive year round education and training to remain fully up to date on the latest and safest sweep methods. Our exemplary service record, coupled with our outstanding reputation and multiple customer service awards makes Wisconsin Chimney Technicians the perfect choice for your expert chimney repair and chimney sweep needs. Wisconsin Chimney Technicians was the first Wisconsin chimney service and repair company to offer dryer vent cleaning, an important service we proudly offer to this day. 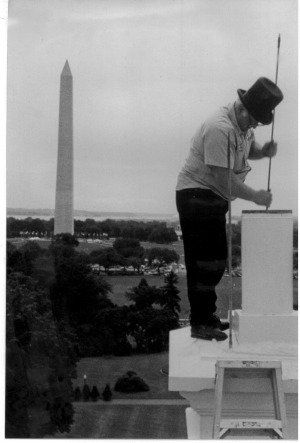 Jeff Schmittinger standing atop the White House. Read our story on the Milwaukee chimney sweep serving our nation's capital. Schedule the best Wisconsin chimney repair, inspection and sweep services in the Milwaukee area with Wisconsin Chimney technicians online or call (262) 443-5933.